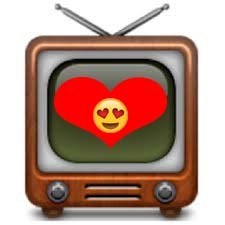 I Love TV More Than You: Guest Blog- Mama Spell Loves TV, Too! While on hiatus due to moving I asked for submissions. I love television. I love the good shows and the not so good shows, and I even love the commercials. I mainly love how accessible it is for everybody, or at least it is until June 12th when the government mandates that all TV be digital. I'm not quite prepared for what comes next, as I don't currently have a cable subscription nor have I ordered the new converter box that will enable my current set to receive digital transmission. And I must confess that as much as I love television, there have been times in my life where I lived without a tv in my home. The first time was when I was in college, you know, "the experimental years," and I had a friend who didn't have a television. I had never heard of such a thing as not owning a tv. He went so far as calling it a lightbulb -- a noisy lightbulb. That revolutionized my thinking, because I'd grown up in a house where the television was always on but light switches had to be off the second before you left an empty room. After meeting that TVless friend in college I decided to live without it for a while. I technically did have two TVs still, but one was already broken and I took it apart and turned into an actual lamp, fashioning a stained glass screen for it. The second TV would turn on, but didn't pick up any channels, just "snow." I perched it on top of my refrigerator for an atmospheric night light in my kitchen. I digress. I got back onto the television wagon when, for my 22nd birthday, my parents gave me a television set. After I'd expressly made a point to tell them I did not want a television set, my parents, actually my mother, decided that I did in fact need one. They showed up on my doorstep with the brand-new tv set still in the box, and I knew I was toast. I was able to pick up one, maybe 2 channels without cable, and that was that. I started getting hooked again. And in just a few short years I had developed full-blown cable. Again. TV simultaneously isolates and connects us. You can be alone but not feel alone. I love tv as background noise while I work at home. I like having it on with the sound off during parties, or with the sound on at parties where I don't want to talk to people. I love tv! But I got my love under wraps again after I moved to NYC, scaling back on my channel selection because my roommates and I don't have cable. And besides, I'm in NYC and I didn't come here to watch tv. But it is nice to come home to and unwind with. And when I'm in that state of mind, I'll watch just about anything that's on. If I had cable, I'd probably never have watched Tyler Perry's House of Payne as it's pretty unwatchable. But it's on a lot and I do watch it. Oh, and my other guilty pleasure are those Sunday mornings when I can sleep in then catch the mini-marathon of DeGrassi TNG. So here I am in the romantic phase of love again, and soon I need to decide whether to buy a TV converter box or not. I don't really like having to make a choice based on the order of a third party (unless it's community service to avoid jail time. That might not be so bad). I'd made the decision in the past to go without a tv set, nobody forced my hand. But now it looks like I'm facing an all or nothing agreement with the Feds. And after February 17th, if all non-digital tv fades to black, I'm not even sure if my current set would even work as a lightbulb. And on that note, if all non-digital cable fades to black, will future generations even know what tv "snow" is? The big question is: if I love TV so much, why would living without a television even be a question again? Well as the saying goes, if you love something, set it free. If it's meant to be yours, it'll come back to you. No matter how many times I've tried to live without TV in my life, it keeps reentering, nestling itself into the crook of my arm saying, "I love you too, Mama Spell." ...My roommate and I just had a nice chat about getting cable. She is not only a gifted writer, but she's also a comedian. She hosts the FUN, FREE "Shrink" show at Otto's Shrunken Head EVERY WEDNESDAY at 8pm. I’ll be showing old and new paintings at The Fall Cafe from January 16-February 25, 2009. More info TBA!